In a scene that explains the pattern of clean patches on the tanks of LT 0-6-0PT No. 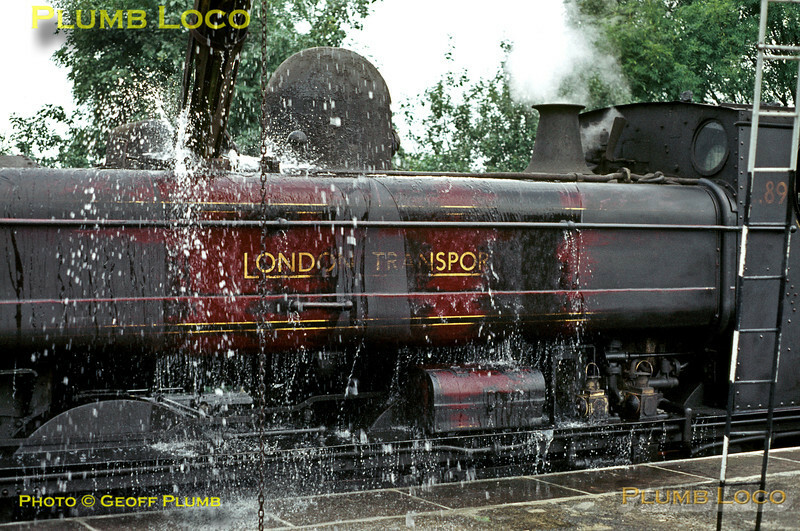 L89, the engine is being watered at Watford station rather over-enthusiastically, the water cascading down the sides and cleaning as it goes! The engine has arrived with the spoil train from Neasden and has still to regain its train and take it into the tip at Croxley for unloading. September 1969. Slide No. 4083.